Here’s where you can talk about anything you want to talk about…TSTO Related, Simpson’s Related or ANYTHING. Just no Add me requests…those should go here. We’ll give you a few suggestions (like most Sunday’s you can talk about the current episode of the Simpsons) but for the most part, you’re free to talk about ANYTHING your little Tapping Fingers desire…just keep it PG. Happy Superbowl Sunday! Will you be watching the big game? How will you be watching? Party or at home alone? Who do you think will win? Do you even care? Are you only in it for the commercials? 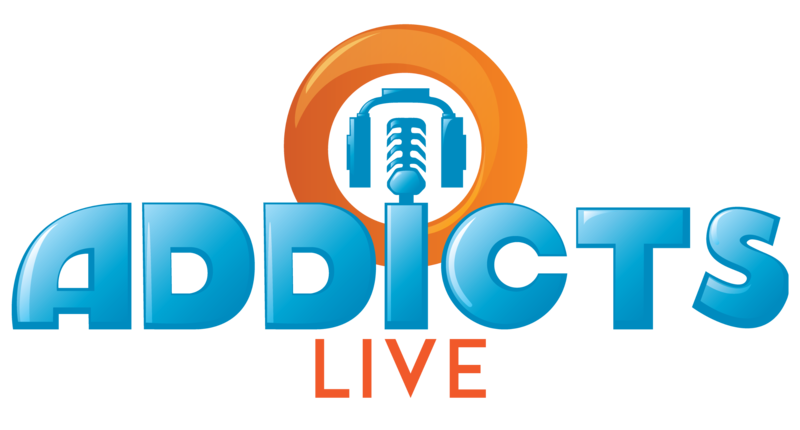 ICYMI Addicts Live was all new yesterday. 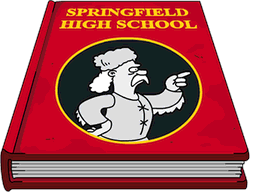 We talked all things Valentine’s Day in Springfield, along with Town Portrait, and finding out if Addicts will ever be content with this game. If you missed it you can check it out here. Love, Springfieldian Style is alive and well in our games! We’re nearly finished with week 2 of the event, what are your thoughts on the Shelbyville additions? And finally, how about the rest of your weekend? Do anything fun and exciting? Just for fun, love these glitches. I decided to tidy up my Springfield and placed a number of items in storage whilst I made space for them. Was surprised that when I placed them in their new location some of them had quests attached which I am sure I did the first time. That has happened a lot to me. If I buy all the land will Golden Goose Reality still reward land tiles? Or money? Any clue on how many donuts we will need for Wed? I haven’t seen this posted anywhere, but I haven’t read blog in a bit. My husband mentioned to me that today for his daily challenge, the prize was.. a land token! Not donuts, money or SH currency but a land token. Didn’t know if anyone else experienced that yet. Just thought that was pretty neat! The next time it happens, try going to EA’s website online and login there and then logout again. Now try pulling up your game again…hopefully it will let you login now. So, that fix on the Christmas Tree Farm that went missing after the event was over, is that ever coming? I would have thought that would be an easy fix, but mine is still m.i.a. The fix was added just over a week after the Alice Glick mini event started. You should be fine with placing it in any direction in your town. If it is in the inventory then check the decorations section instead of buildings section since it is considered a decoration. I can’t place something that isn’t there. I had it, then it wasn’t where i put it, and now it’s nowhere. Never mind, found it! Because i rearranged some stuff, i couldn’t see the damn thing. They hid it from me, those sneaky bastards! Hi all anyone experiencing the issue where your game isn’t advancing at the last quest in week 2? The story should have prompted and I should have unlocked Groundskeeper Willa but it’s just stuck at Done! And 300/300. I’d appreciate any suggestions? Just the ones who don’t scroll up in the quest box. You have to do a task with bart, willie and collect fertilizer to complete it. Ugh I scrolled too fast and missed the middle job! Thank you!!!! I have a question about the daily tasks. This may have been addressed elsewhere, but I am not sure where to find it. I get a lot of daily tasks for Springfield Heights. Just about every few days, I am asked to make mats, or cell phones, or coffee. I am completely maxed out on SH. So when the task is asking me to make more, I often have to buy stuff in order to clear out the item in order to make more. This is making my SH very cluttered with boats and fountains and other random junk. This is especially frustrating because you can’t just trash this stuff for some reason. Each time I get a SH task increases my frustration. Is anyone else experiencing this? Is there anything I can do about it? Is there an update coming that expands on SH so this stuff isn’t just a useless pile of junk laying around my town? As Alissa said just x out of them to get a new task, hopefully one for donuts. You can also always store the excess SH stuff so it doesn’t clutter your town. You are lucky, sometimes I can go 6 Xs before getting donuts. Hi Sara, like Alissa suggested, you can delete a quest to receive another (generally you won’t be offered another Heights-related quest). Oh my goodness! I can’t believe I never noticed that you can X them out! 🤦‍♀️ Thanks for the help!! Hi, all. I’m curious how people spend their Krustyland tickets. Do you convert them to $$? Have you accidentally amassed millions in KL tix? 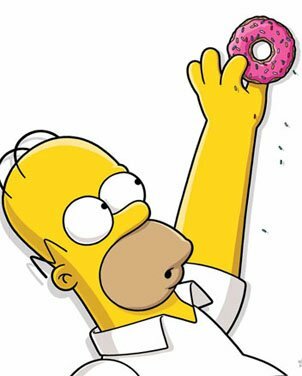 The best method I have found is to max purchase Krustyland tickets with donuts, trade in the Krustytix for cash, and then use the cash to build a massive KEM farm for more donuts. Seems to work out well for me. I try to remember to use mine whenever I am buying trees, shrubs and flowers, saving my cash for KEM farming. But I often forget. And I also forget to just convert the tickets to cash! 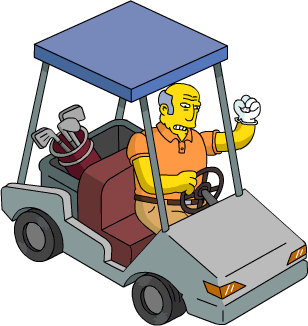 Not sure why EA have bothered to retain the Krustyland tickets – why not just award us cash and make all the Krustyland rides, etc. available to purchase with cash. Weird. For the past two hours,i was not able to log into my game.i got the loggin error message.but thanks to this site and the help me section,i saw that all i had to do was to change my password.with the link to ea all ready to go.l was back in my game in minutes.being the tsto addict that i am,i was starting to get nervous.thanks for all the things you do for all of us . Have a great one everybody. My fellow music fans. For much more music, let’s be Facebook friends. My profile is Ryan Wilson and my pic at the moment is a Sonic Youth tee shirt of Alan Ginsberg kissing his boyfriend. I’ll post a comment on the addicts open thread link on Facebook to make it easy to find me. Hi Lisa…I agree with your wishlist, any more large trees (like the japanese maple and cherry) would be great also. Have a great week😁. I may be wrong, but I think one of the games issues rocks as a prize. I think it’s the “archeological dig”…only gives the same small rocks, tho. But better than nothing👍😁. Getting close to level 939. Do the Mystery Boxes reap more donuts than the Level Ups? You get 3 boxes to choose from containing 1, 2, or 3 donuts. 1st guess is free, $50k each additional guess. Except on some Bonut choices…like where’s Maggie? It costs 150k a guess. Oops, that’s what I get for not double checking. Every now and then, it plays a movie. It did so this morning. I tapped all around, to see if a character was lurking, engaged in a task. Found nothing. I came back an hour later, and still a movie was running. Am I the only one who experiences this? Does anyone know what triggers this? Like the Twilight Zone! A scarier scenario would be Hilary in the background. “Scarier” is a matter of opinion. That happened to me with the drive in a few months ago then I found out it was Countess Dracula on her 24 hour task but she didn’t appear in the building but she was using it if that makes sense. Hi everybody, and a special greeting to our Guardian Admins Alissa, Patric, Safi & Woo-hookie! I finished the event 9 hours ago, and I’m currently in the middle of Wilma and Mr. Dondelinger questlines (the latter’s one is hilarious!). Thought of the week. A lot of people are coambering for a nighttime mode, but after playing smurf village I will say that would be a horrible choice. possibly. what i want is for the buildings to have four sides. Happy Super bowl sunday, people! Meh. Bring on spring training!!! !❤⚾⚾⚾ Hope u all are well! Missing our MAB!!! You know the Super Bowl has 4 quarters of 15 minutes, with teams starting the game with a coin toss which has 1:1 odds of being correct. Players than make their way up and down 100 yards, or 300 feet, as 3 feet in 1 yard. You receive 3 points for a field goal, 6 points for a touchdown, 1 point for a kick after touchdown, and 2 points for a touchdown after a touchdown. Oh the numbers and math! What a glorious day! Haven’t seen a comment from MAB in a while. Hope nothing is wrong. Just a couple of quick things to ask about…. 1) The zoom issue – I’m really struggling to see where I’m tapping. My town is basically split into a number of areas that stretch most of the way accross the town. All arranged in such a way as its easy to tap in straight lines. My tap radius is actually bigger than what I can see. I’m playing on a Huawei P20 on my Wi-Fi with decent speed and 70 Gb of space on my device. I always close all other apps down before I start to play too. Just wish they would fix the darned glitch. 2) The Town Photo – This works relatively well except it looks like I’m looking through jail bars. I have black vertical lines on my image where its been stitched together. Such a shame. Apart from those issues my town is running well and I’m enjoying having loads of land tiles to expand my town as I zone my buildings. If you have any possible solutions to my issues I would love to hear from you. Happy Super Bowl Sunday all. Hope everyone is well. Kroenke is a piece of human ?/@*$# and the Cheatriots are despicable, I have no team in the game. Hope the commercials are good. Enjoying the event and the 4 week length is good imo. Enjoy the game and as always a big thank you to the admins for all they do. Happy Sunday y’all. I love the variety this week. Anyway random songs for a Sunday. Love to see yours. Set your player to random. No skipping. I swear this is the third week in a row I’ve had The Pressure Of Life come up, and I’m sure Dancers was up last week … I think my iPod’s random repeat algorithm needs a reboot … Safi? If you tell me how many total songs you have, I can calculate the probability of the same song showing up three weeks in a row. Does he always play 20 songs every week? That would be another piece of information that would be needed. Alright, Mr. Statistics, help me out here. Long, long ago (30 years) in a work land a few miles away. Over the course of a year 50% of the commercial drivers would randomly be chosen for alcohol testing and 25% for drug testing. Now, in any given month, the odds would be 1/12 of 50% and 1/12 of 25%. As leader of the Union I finally told people to quiet down, because by the end of the first five months they had run number of sufficient tests to account for just shy of 50% for alcohol and 1 test shy of drugs. Happy tapping all, heres a screenshot of a design am working on. Now, help me out peoples – where did the “LEGO” train come from? Awesome creativity on making your own tracks. Brilliant! I did the same thing for tracks! And pulled all my various trains into the yard. Winner, winner, leggo of my LEGO Choo Choo Dinner?